Change is often viewed as the result of a scientific discovery or the development of a breakthrough technology. But there’s usually a lot more to the story. To quote Paul Saffo – technology doesn’t drive change, it enables change. 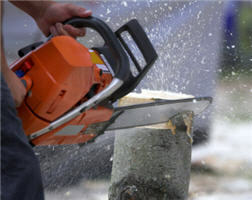 When the chainsaw was first introduced, I wonder how many lumberjacks tried dragging it back and forth against a tree, expecting it to work the same way as a hand saw. Figuring out the best use of a new technology is just as important, and sometimes as difficult, as developing the technology in the first place.